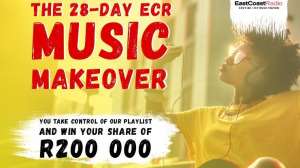 East Coast Radio (ECR) has launched a new campaign – 'ECR Music Makeover' – that will aim to ensure that every listener’s music taste and preference is represented. According to the station, this will encourage more people to tune in and, by playing more music, East Coast Radio is confident that they will achieve this. East Coast Radio’s programme manager, Zane Derbyshire, originally announced the news on East Coast Breakfast. "We have invested a lot of time, effort and money into making East Coast Radio the premium brand it is today," says Derbyshire. "We would like to give our people what they want. That’s why we’ve decided to include our very loyal listeners by allowing them to choose the music that we play on the station. We want everyone to come to the party," Derbyshire adds. 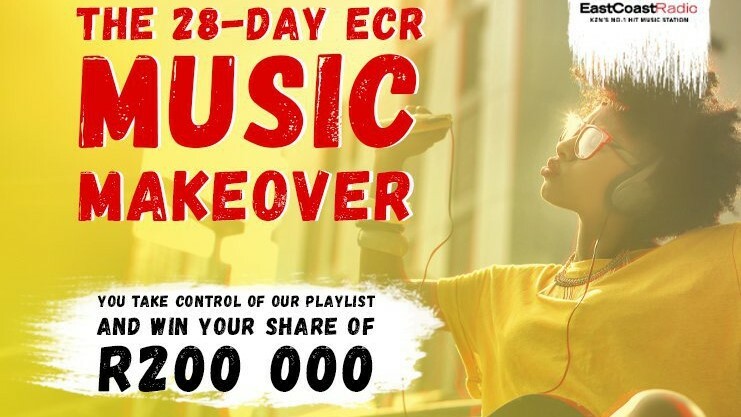 The 28-day 'ECR Music Makeover' campaign was launched on Monday, 4 February and will allow listeners to dictate the playlist via ecr.co.za or at one of the ECR Music Maker Chill Zones. The ECR Music Maker Chill Zone will pop up at various parts of KwaZulu-Natal, where listeners will get a chance to vote for their favourite songs at a live voting station. They will also get an opportunity to interact with the station's presenters. The activation feature’s surprise performances and prize giveaways during the month of February. "This is only the beginning for us, and we are excited to hear from our listeners. We want to paint KwaZulu-Natal yellow by travelling across the province on the ground to ensure that we get everyone voting in our 28-day 'Music Makeover'. For ECR, this is an exciting new campaign and we are eager to see where this takes us," says ECR's station general manager, Boni Mchunu. Follow ECR on social media for the latest updates on where the ECR Music Maker Chill Zone will be popping up. Listeners can also vote for their playlist on the ECR website and win a share of R200 000. For more information, visit www.ecr.co.za. You can also follow ECR on Facebook or on Twitter. You can also join the conversation by using the #ECRMusicMakeover hashtag.